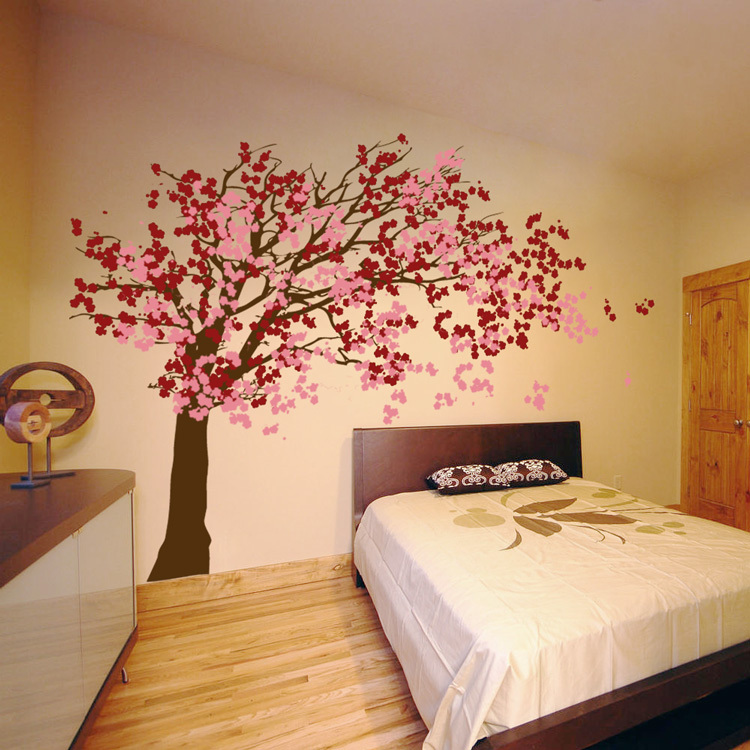 If you are like me, you have have tried TONS of wall decals. There are many things I have hated in the past about decals. I bought some, and they fell off within an hour of putting them on the wall. I had others that I took 5 hours to put up, only to have my son peel them off (I am determined they would have stayed up otherwise). I was somewhat nervous to try out Dali Wall Decals. What I was really impressed by, right away, was the size. We ordered a horse for my daughter's room, and the size was actually really impressive. They also personalized the wall decal, and she loved that she was going to have her name up on her wall. They also sent a small flower (which my daughter claimed as hers to put up), a decal applier (a plastic piece that you used to rub on the decal), and instructions. We painted my daughter's wall first, as it had been perviously wall papered and we planned to paint it. I applied the horse and name and my daughter applied the flower. The application was actually quite simple. As you can see below, the flower looks wonderful, as does the horse and name. We were impressed with the vibrancy of the color as well as the shine from the decal. Needless to say, my daughter completely loves it, and is proud that she played a part in applying it. I was quite amazed with not only the quality, but the ease in applying the decal! Want to learn more? There are many more designs to choose from! Also, keep an eye out for a giveaway to start VERY soon for you own chance to win a decal! MamaBreak Received a gift certificate to purchase and try our own decal for purposes of review on the site. We did not receive any monetary compensation for this review. As always our opinions and experiences are our own. Oh my! 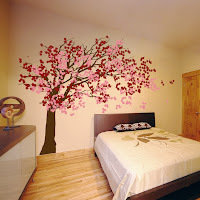 I want the Sakura tree one! ohh this is NICE!! I love that you can get them personalized! Great Review!! TY! Wow that's awesome! Hoping to move our boy/girl twins into their own bedroom with an upcoming move, and would love to do some girly decal stuff!! She's my only girl with 4 brothers; she needs some purple and flowery love. ;) Thanks for the review! Awww! i Love that horse! I have always wanted to try decals too, but for the same reasons you listed, I haven't. Now I very well may!! Thank you, going to check out the site now! I'm surprised to hear it was so easy! 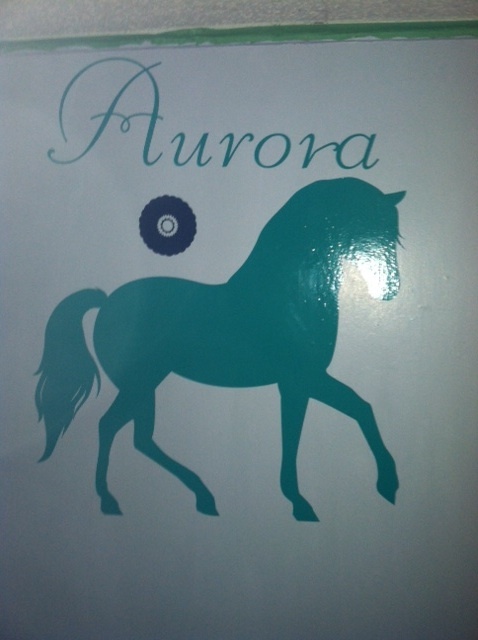 I bet Aurora is in love with seeing her name there! These are beautiful decals! I love the horse and the tree! !